Image 6115378: 3d extra tall numbers set made with round shapes. 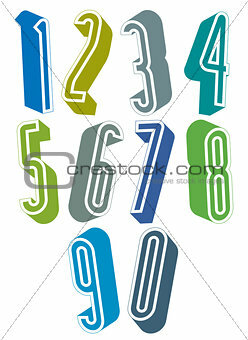 Image Description: 3d extra tall numbers set made with round shapes, colorful numerals for advertising and web design. XXL 25.7 x 35.2 cm 10.1 x 13.9"